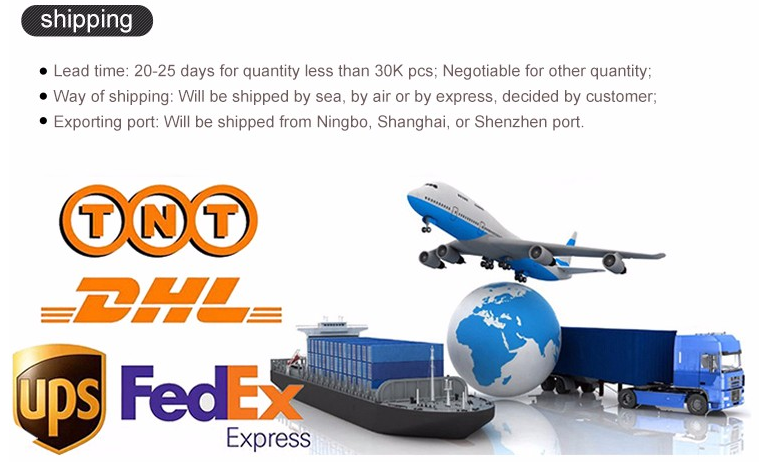 12V 5.42A LED switching power supply, max power output could be up to 65w. 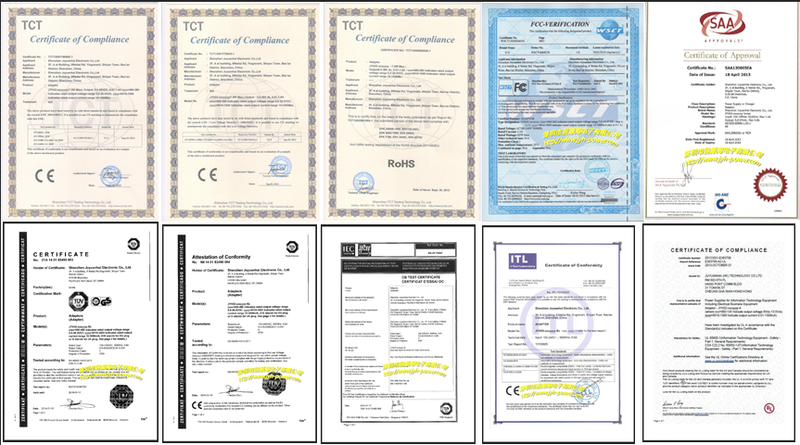 It can be applied to many LED products, such as LED light, LED display etc. 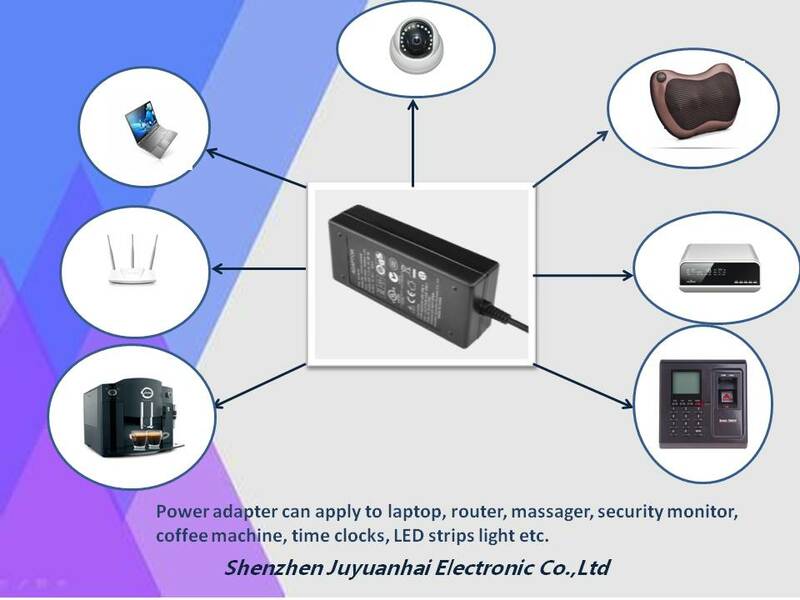 Compact inside components structure and new IC solution, make our power adapter lighter and easy to operate, as well as it's high working efficiency, high working effiviency means more enviromental protection. 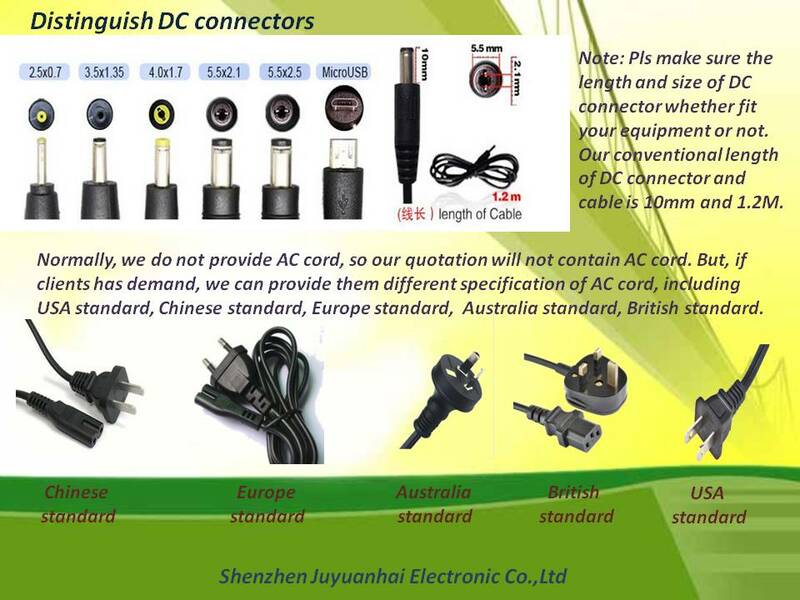 Except C6/C8C14 AC socket, customized AC socket is avaliable too, as well as DC cable length and DC plugs zise are optional. 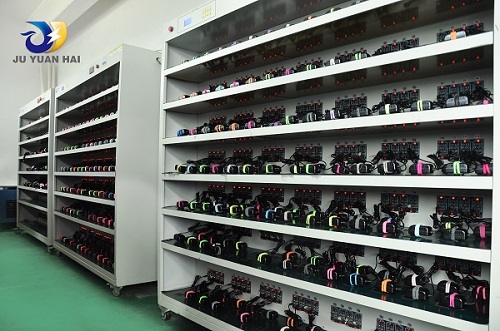 From raw material procurement to production, then to shipment, we operate each step according to the standards, to make each power adapter is qualified.